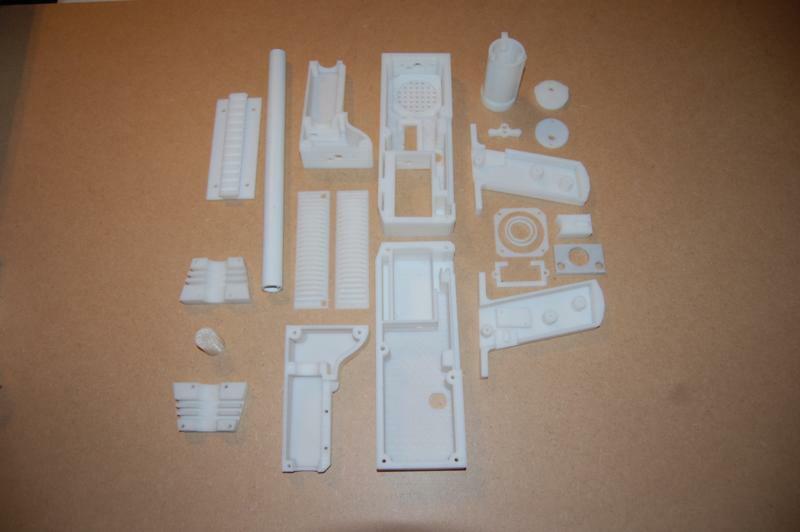 Here is a photo of a complete kit of parts for a UMT based Milestag gun. 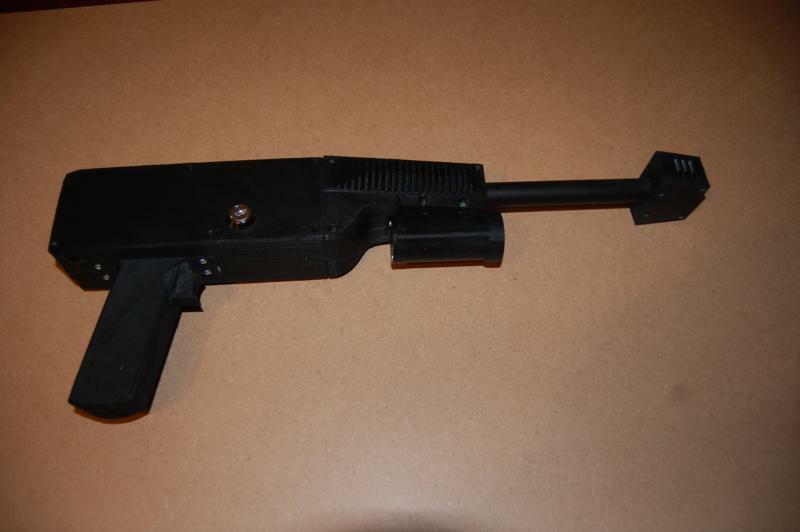 Apart from the 20mm barrel, all parts have been printed with RepRap. I'm quite pleased with the results. I'm able to manufacture parts that, once printed, can be assembled into a functional device within an hour or so. long live RepRap! So what is the final price for a kit? 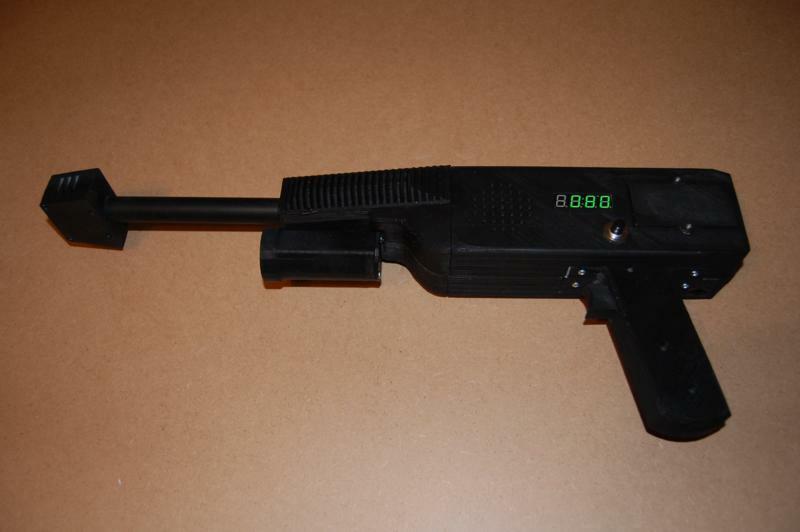 You need an UMT module (44.85USD), and also the receiver needs a PC dome (3USD, but you made it yourself), and a "Gun sensor", assembled (22USD). So per kid you arrive around 70USD, am I right? Plus of course the printed parts. @Laszlo. Not had chance to do a full kit price yet. Will do soon though. I was thinking of asking around 35UKP (~$55) for a kit of parts (incl. lens). Electronics would of course be extra. I'm in the process of setting up a parts shop. Watch this space. These look good, can't wait to try mine, I think I'll do all 5 of my guns with these, then order another 5 plus UMT boards so I'll have 10 all in all.